Yes, I am talking about skincare again. If you read my last post you saw my detailed regimen. One of the things I do weekly in routine is giving my self a peel. The peel helps to exfoliate, fight acne and restore an even, radiant tone. It also smooths the skin’s texture. 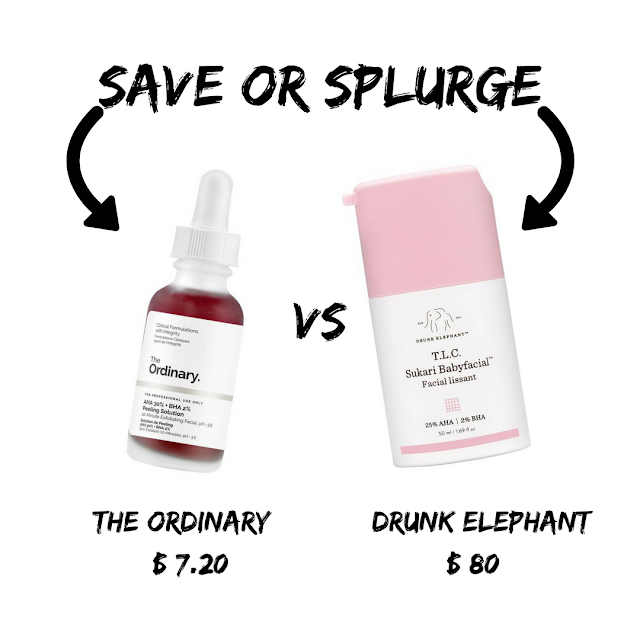 I use The Ordinary Peeling Solution which a lot of people say is a dupe for Drunk Elephant's peel. That's one of the main reasons why I love The Ordinary because you can get super high-quality products for pennies. Let me be honest I never tried Drunk Elephant and I don't plan on it (too many people have said that their products are overpriced and mediocre.) unless they are sending it to me for FREE. So I cant give my opinion on which works better. What I do know is that I've been using The Ordinary for a few months and its perfect for me. I'll let you be the judge. 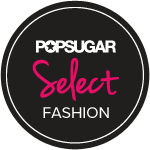 See the details and tell us what you think, SAVE or SPLURGE. 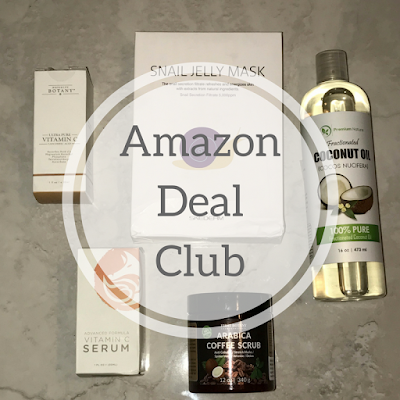 This innovative at-home "facial" contains 25% AHA and 2% BHA, plus Drunk Elephant’s dream team blend of glycolic, tartaric, lactic, citric, and salicylic acids. It gently but efficiently resurfaces the skin as it exfoliates, getting rid of built-up dead skin cells by breaking down the substance that holds them to the surface. Babyfacial™ combines potent antioxidants like matcha, apple fruit, and milk thistle to calm and sooth with ultra-hydrating sodium hyaluronate crosspolymer and non-fragrant plant oils to replenish moisture and nourish. Chick pea flour brightens and balances the skin without over-drying, and pumpkin ferment delivers amazing enzymatic action. Niacinamide, a "cell-communicating" ingredient, effectively revives skin’s healthy look and feel as it brightens and tones. Appropriate for all skin types, Babyfacial will dramatically smooth texture, minimize the look of fine lines and wrinkles, unclog pores, and boost overall clarity—revealing fresh, radiant, baby-soft skin. Have you tried these two products? Which do you prefer? I've only tried The Ordinary's peel but from the reviews, I read they give the same results. However, some say The Ordinary can be slightly irritating. I use The Ordinary weekly and that hasn't been my experience. The price point alone is worth giving it a try. For me..I'll SAVE!